MX1, a global solution provider of media services, announced today that leading global news agency, Agence France-Presse (AFP), is using its end-to-end, cloud-based MX1 360 service to securely transmit news feeds to broadcasters and publishers around the world. By relying on MX1 360 and its secure IP delivery model, AFP has removed a significant bottleneck in its operations, enabling its worldwide customers to access content more easily via a branded portal hosted on the cloud-based service platform. 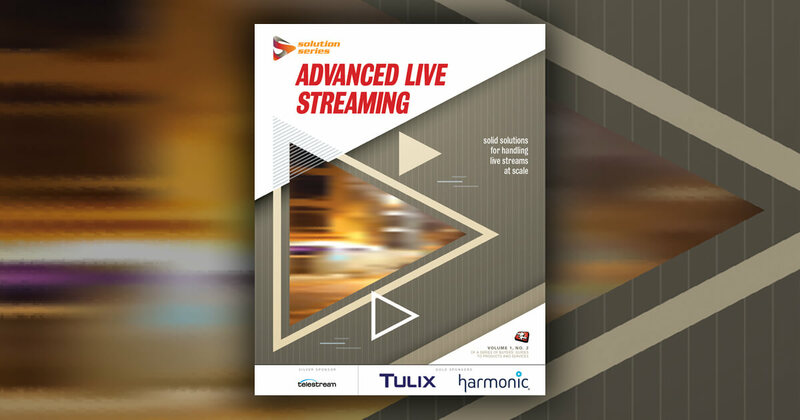 "Prior to MX1 360, we maintained a single satellite feed for live video distribution, which wasn't an ideal scenario if two or more stories were breaking in parallel. We needed a more flexible solution with easy access to news feeds for the broadcasters and publishers we serve all around the world," said Marie-Noelle Valles, video business development director at AFP. "Enriching our Live delivery system with a secure IP-based news distribution workflow powered by MX1 360 means that our clients can choose exactly what content they want to broadcast, simply by logging into the AFPTV Live platform via the Internet and selecting an incoming news feed from our four available HD channels." AFP's feeds are delivered to MX1 by fibre, with MX1 360 managing all streaming, monitoring, and metadata aggregation. From there, the feeds are made available in real time to AFP customers around the world. When major stories are breaking simultaneously, the AFPTV Live platform provides broadcasters and publishers with the flexibility to choose AFP news items that resonate most with their market. The user interface is sophisticated yet simple to use, speeding up broadcasters' ability to cover important news and events. Hosting its news feeds from a centralized service platform allows AFP to offer its clients more content and improved editorial, while also giving the news agency the ability to upsell its service and provide simultaneous feeds to clients at a premium. "When news breaks, broadcasters need to cover the story immediately," said John Reverand, VP sales Americas at MX1. "Having a cloud-based service delivery platform at the heart of its media operations means that AFP can work faster and provide more news feeds to its broadcast customers. Our team of experts manages the vital content preparation and delivery tasks in the background so that AFP can concentrate on what it does best: providing quality video journalism to its worldwide clients." AFP is a global news agency delivering fast, accurate, in-depth coverage of the events shaping our world from conflicts to politics, economics, sports, entertainment, and the latest breakthroughs in health, science, and technology. With 2,400 staff spread across almost every country, AFP covers the world 24 hours a day in six languages. AFP delivers the news in video, text, photos, multimedia, and graphics to a wide range of customers including newspapers and magazines, radio and TV channels, web sites and portals, mobile operators, corporate clients, as well as public institutions. MX1, a wholly-owned subsidiary of SES (Euronext Paris and Luxembourg Stock Exchange: SESG), is a leading global media services provider. The world's first media globalizer works with leading media businesses to transform content into the ultimate viewer experience for a global audience. With more entertainment, more innovation and more impact, MX1 offers a full range of content management, delivery and value-added digital media services. Every day, MX1 distributes more than 2,750 TV channels, manages the playout of over 500 channels, delivers syndicated content to more than 120 leading subscription VOD platforms, delivers over 8,000 hours of online video streaming and delivers more than 500 hours of premium sports and live events. The new company has 16 offices worldwide and operates six global state-of-the-art media centres, enabling customers to reach billions of people around the world.